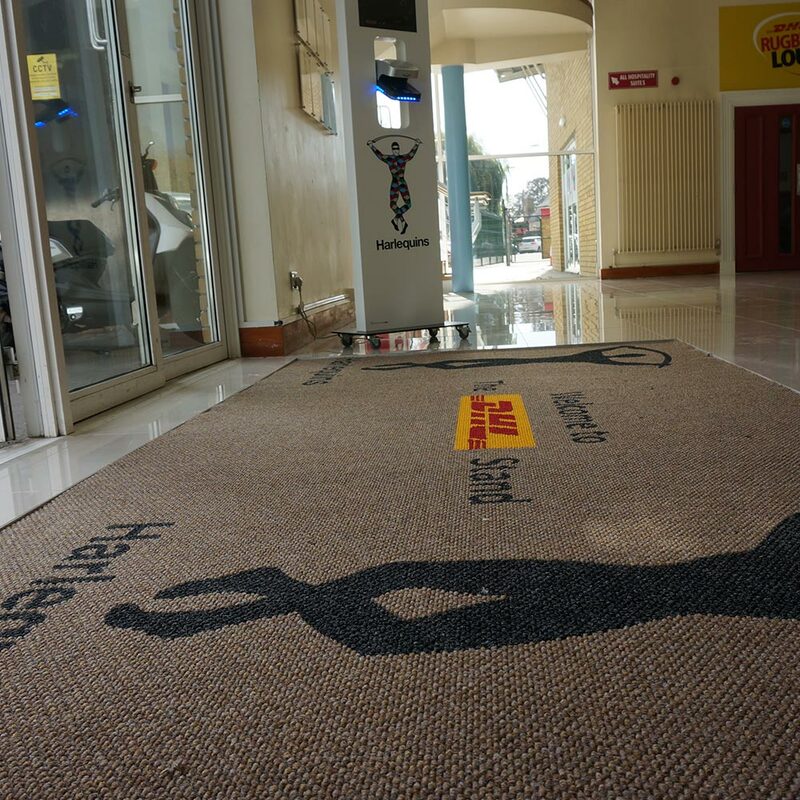 The Harlequin Rugby Union Team was recommended Heckmondwike’s entrance matting to reinforce its unique branding. 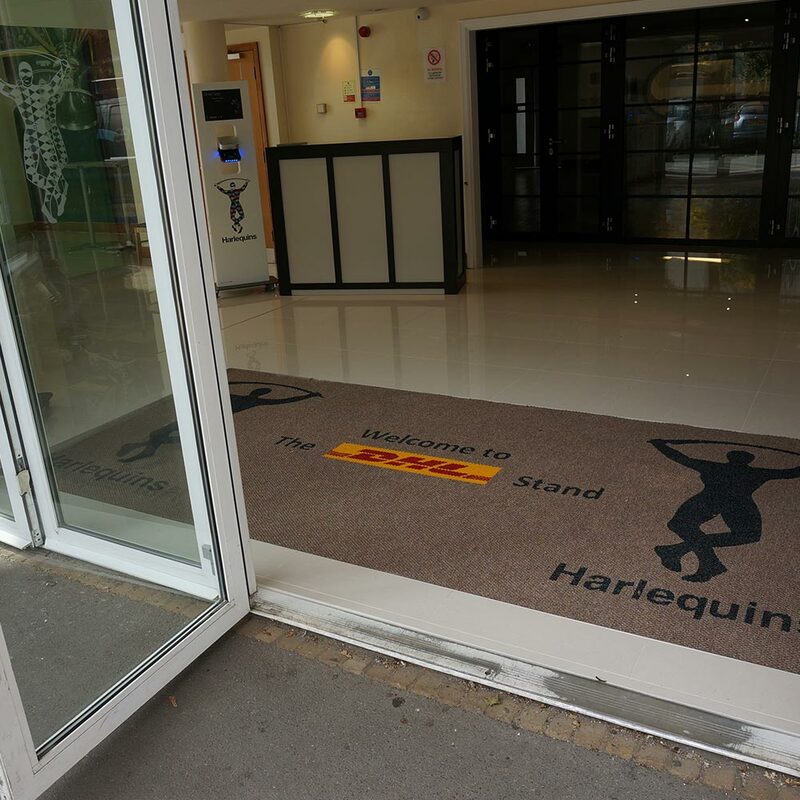 Located in the East Stand Reception at Twickenham Stoop Stadium – home of the Harlequin’s. Mat also included the DHL logo – the team’s corporate sponsor.